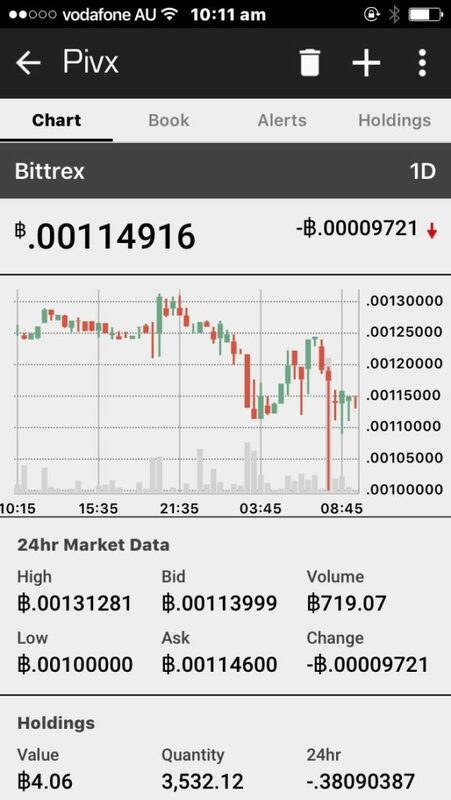 I woke up this morning to discover 10% of value had been wiped off my alt-coin investment portfolio however Bitcoin had broken all time highs. The double edged sword of emotion. The duality and volatility of cryptocurrencies has spoken in these early days of growth and development. It is clear to me that the best policy with investment is to be patient, diversify your portfolio, and keep your eye on your own long term goals and only adjust if really required. Pumps and dumps are going to happen as the market caps for each coin slowly climb towards more stable, true market levels. It takes time and big investors will always take their returns in a volatile market like cryptos are right now. That is just good trading protocol. Sell on a high, buy on a low. 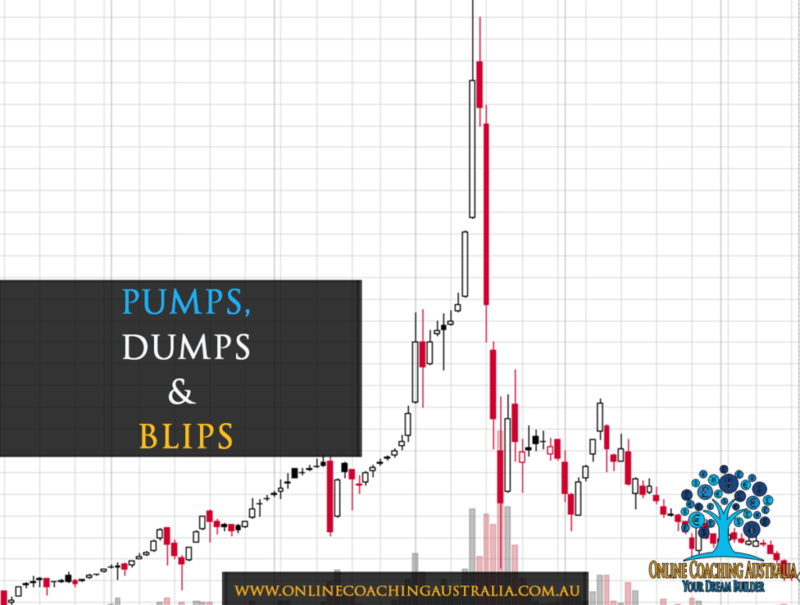 Pump and dump in order to make 3% to 10%+ returns. For me I prefer to stand back from the volatility a bit and just buy on the lows and stack it. The market always bounces back. The reality is we are at the beginning of this 10+ year journey and the returns will be significant in the next few years if you hold. Yes you can also make some money trading however that takes a very well determined plan and focus and it should not be done on just a whim because you will lose. What I do feel is a good strategy is to ensure you have active funds in both Bitcoin and Alt-Coins to ensure you ‘offset’ price movements in each sector. When Bitcoin pumps we generally see a decline in the Alt-Coin prices. When we see the Alt-Coins pump we generally see a dip in the Bitcoin price although remember that Bitcoin as a significant market cap and is not affected as significantly as a minor alt-coin can be. So it makes sense to hold a proportion of both Bitcoin and Alt-Coins and move this % between specific identified coins that you know alternate in price with each other or simply hold your Bitcoin and continue to stack it. This takes a little research and a little courage. Charts below although only show 4 coins do reflect a universal and calculated dump across all coins overnight after a strong 4 to 5 days of price inflation (steady pump). 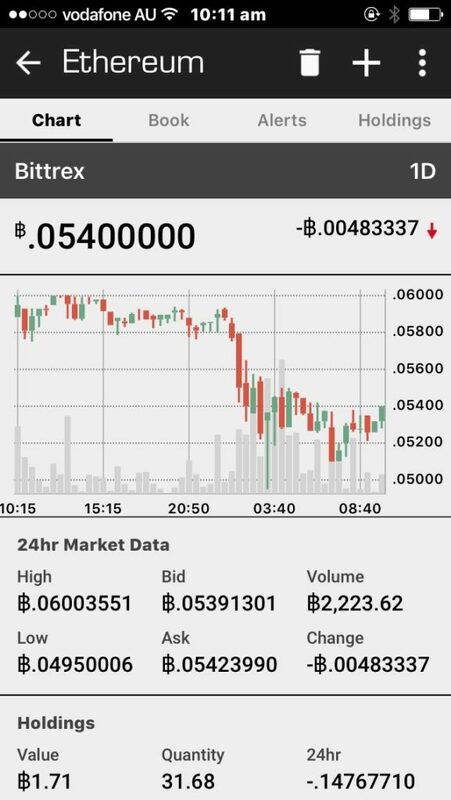 Great time to buy more? Yes! What percentage ratio should I hold? I feel this can only be determined by yourself however I have a 10/90 ratio to Bitcoin to Alt-Coin and I do not generally trade heavily nor do I move my coins around in and out of my bitcoin accounts or exchanges. Alt-Coins have the greatest potential for gains in the next 3 years however Bitcoin is a safe and solid return in the long term (10X return). Should I move my coins around more? The answer is probably yes, to a degree, as I could make some great accumulative gains and whilst we see each sector swing back and forth there is a lot of margin to win from. It comes down to energy and time to do these things and not everyone has that time nor do they have the disposable income to risk or the resources. I love the numbers 3, 6 and 9 and if you are a Nikola Tesla fan or into Pythagorean scales and Fibonacci you will know why. I have a a few general rules that seems to work for me when doing some ‘volatility’ trading and apart from obvious stop loss and pre-determined % gains that I may decide to set for any specific trade (between 3% to 12%), what I have been watching is the 3 – 6 day pump swings for each coin. My 1st rule is to always accept profit as profit and this rule is the master rule. Always be happy with the profit you gain. 2nd rule is always set a stop loss % if trading. Never guess or go with the flow as this sometimes pays and more often loses. 3rd rule is never speculate about the ‘what ifs’. They don’t matter as they are not real and did not happen. The main pumps generally happen over a 4 to 7 hour swings and are very clear on the graph initially and they can also last and grow for a few days as the market swings back and forth in excitement and energy. They are fast and aggressive initially and the reality is for many of use we miss the early ride so don’t be a FOMO (fear of missing out) and buy in on the high as you are too late. Energy of Economics is very real and never buy/sell emotionally however gut instincts are relevant. Lately we have seen some strong 3 days pumps in many of the major coins. Once you hit that high, the best thing to do is to take a profit and I feel using a scale of 3rds is a great way of taking this profit if unsure. Set your stop losses at proportionate and divisible thirds down from your predetermined initial % gain. 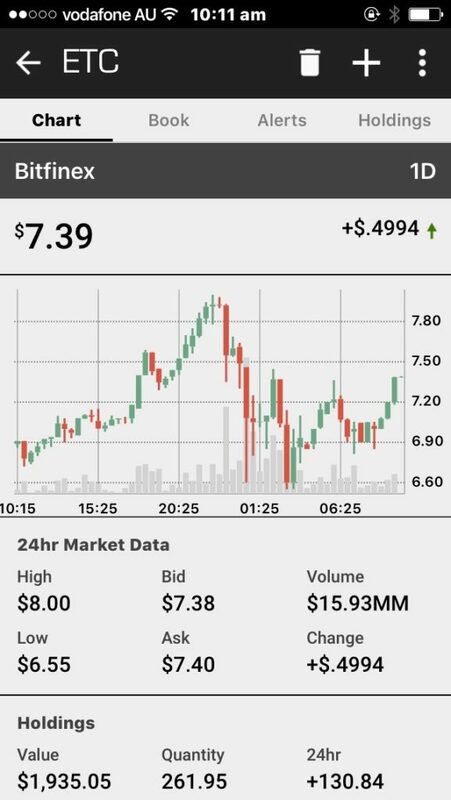 When you see the pump high and acknowledge it, take some, all and/or set a new ‘moderate’ sell point. 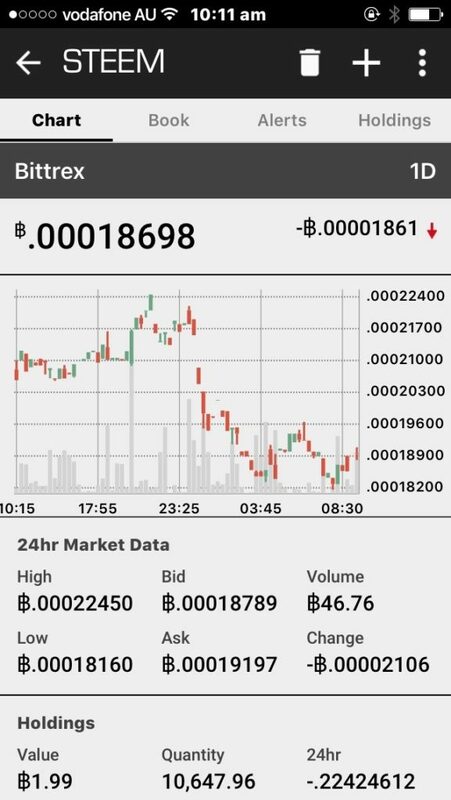 Sell at 3%, 6%, 9%, 12% returns and if you are lucky enough to gain more on a pump then well done. I also feel that taking anything from 3% to 12% is a reasonable profit if trading on a daily basis with 12% being exceptional. Anything higher is a bonus and is playing with the volatility gods who’s speculation power could very much cost you your profit, your trading stake and your time. Lucky thing is all these cryptos, for the time being, will bounce back and still move higher in the short term so you will have to wait for your stake to return to a neutral trading value. 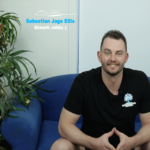 So if you buy and hold now you will also win and for me this is less stressful and allows me to do other things like write blogs on Steemit and focus on my long term goals and health. Always be mindful of where you put your energy and play a smart game. There is always another opportunity around the corner. This is 100% not trading advice as I am just a regular guy who has an opinion. Please seek advice from your preferred specialist.